Science is the foundation stone for progress and development taking place in human life, the University of Jordan (UJ), which was founded in 1962, has grown to become Jordan’s largest and leading institution of higher education, and has evolved into a comprehensive university with national and international prominence, it has offered a wide choice of academic programs for students who can choose from more than 250 Programs from 24 schools in various disciplines. ​UJ offers 94 bachelors in different programs in Medicine, Dentistry, Pharmacy, Nursing, Rehabilitation Science, Science, Agriculture, Engineering, Information Technology, Art, Business Administration, Sharia’a, Educational Sciences, law, Physical Education, Arts and Design, International Studies, Foreign Languages, Archaeology and Tourism. At graduate level, UJ provides 38 doctoral Programs, which represent more than 50% of doctoral programs in Jordan, and 111 master programs, which represent about 25% of master programs in Jordan, 16 higher specialization programs in medicine and one in dentistry, and 3 diploma programs. Since its foundation, the number of UJ graduates have exceeded 200,000 graduates around the world, and UJ’s employment reputation is 330 worldwide according to QS World Universities Ranking UJ has qualified academics working in parallel with its ambition and aspirations to excel, many of them have held many key roles in academic, administrative and political fields in Jordan, some of them are ministers, advisers, deputies and heads of universities, while some are excelled in innovation, scientific research and literature. UJ is not only looking to reach the highest level of excellence, but it is also trying to apply the principles of total quality management and to use the latest information technologies in its programs and strategies. The University of Jordan has achieved advanced positions in various international rankings: UJ is one of the best 600 Universities worldwide, one of the best 10 Arab universities, and it has recently achieved 4 stars according to QS. In addition, UJ has gained many international accreditations for its programs, such as medicine, dentistry, pharmacy, engineering, rehabilitation and other disciplines. 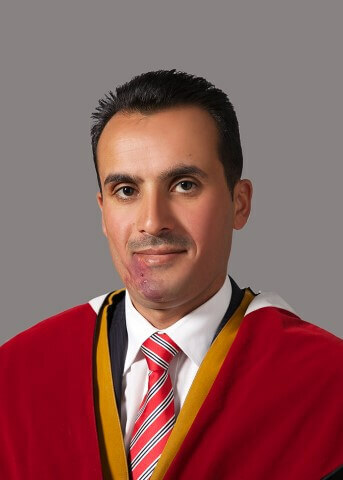 Vice President for Humanities at the University of Jordan (UJ) (September 2016 – present). Obtained Ph.D. from Cornell University in 1984. Prof of English and American lit. at UJ since 1994. Was Director of Language Center, Chairman of Modern Languages Department, Director of International Relations, Dean of Arts, and then Dean of Foreign Languages. Worked at Yarmouk University from 1984-19994. Spent one-year leave at Philadelphia University and six years at Arab Open University in Kuwait as Dean of languages. Was a Bologna Process Expert (2007-2011); Adviser to the Minister of Higher Education in Jordan for International Cooperation, 2004-2009. Member of Higher Education Council in Jordan, twice, 2009-2011. Member of Royal Commission on Education, 2007-2011. Member of Board of Trustees of QRTA, 2008-2016. Adviser of English curricula for MoE, 2004-11. Telluride Scholarship at Cornell (1981-84). Fellowships include the following: Newberry Library (1987), ARF spent at Newberry and UCLA libraries (1988), National Endowment for the Humanities spent at Johns Hopkins (1995), DAAD spent at Ludwig-Maximilian in Munich (1999), American Studies Fulbright Summer Institute spent at U. of Louisville and UC Berkeley (2001), Japan Foundation spent at Waseda in 2004, Korea Foundation spent at Yonsei (2006), Erasmus Mundus EW spent at Lund (2009). Columnist in the leading Jordan Times newspaper since 1993. Al-Arab Al-Yawm Columnist 2012-2014. Moderated a TV talk show for Jordan Television, 1996-1998.Researcher, translator, and creative writer. Wrote two volumes of short stories Mawaqif I and Mawaqif II. Speaker and writer on lit and lit theory, postmodernism, romanticism, higher education, school education, Arab society and culture, and current Arab and global issues. The Director of University Requirements Coordination Office at the University of Jordan. He is an assistant professor at Geography Department – Faculty of Arts. He obtained his Ph.D. in Urban Economics and GIS from Leeds University – UK in 2012. He was the Head of Geography Department at University of Jordan between 6/9/2014 to 3/9/2016. He is a member in Board of Trustees of the Royal Jordanian Geographic Center Faculty of Surveying Sciences (10/2/2016 - date). He also was a member at The University of Jordan Council (2015/2016), as a Representative for Faculty of Arts. 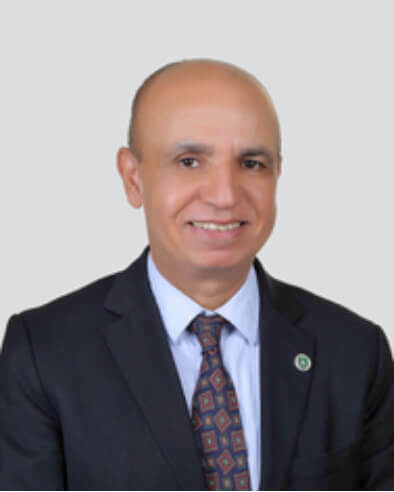 Dr Khawaldah also was a member at Preparatory Committee of the General Census of Population and Housing in Jordan (2014 – Date) as a representative of the University of Jordan. All rights reserved 2019 ©.